Prescription drug adverse reactions and side effects cause the death of 200,000 Americans every year. 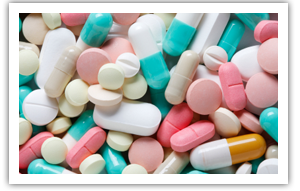 As for common over-the-counter medications, adverse reactions and side effects cause serious injury or death to countless others. Pharmaceutical manufacturers pressure the government to approve drugs quickly and FDA “fast-tracking” further reduces approval time – and often the safety of the drug. If you believe that you or one of your loved ones has been harmed by these or any other pharmaceutical product, let the experienced professionals of Inserra | Kelley | Sewell, Injury Attorneys stand with you to protect your right to fair treatment and fair compensation.